The sixth Harry Potter book is finally going to be released in Spanish, and according to Newsday's article, it is coming out in three slightly different versions: one for the Spanish market, one for Argentina, and one for the rest of Latin America. Although I question the wisdom of highlighting differences that really don't matter (would Mexican readers not be able to read the Spanish or Argentinean versions, or vice-versa? ), no harm done, and after all the British and American editions also differ from each other. However, I think that Latin American readers may get a bit confused for another reason: the dubbed versions of the Harry Potter films, at least in Mexico, are clearly dubbed by Spanish actors, so why provide a Latin American version of a book when the audience is already accustomed to 'hear' it with a Spanish accent? By the way: my Mexican nephew and niece really preferred the English language version of the movie (with subtitles). Also, there is no question that the Harry Potter books bring kids to reading: they even bring them to read in a foreign language - my nephew wanted to see what happened in the sixth Harry Potter book so much that he managed to read it in English (not without difficulty), rather than tamely wait for the Spanish translation (though no doubt he is now going to re-read it all over again). I have to disagree with your comment. I'm a Mexican translator living in Mexico City, also I'm an Englsih and Spanish literature enthusiat reader. So, why to localise Harry Potter? Let's say "Harry Potter took the Phoenix and hurt it". The Spaniard translationd would be: "Harry cogió al Fénix y lo lastimó". That would be confusing and if you are not used to Spaniard translations, you might take it as an insult, since the translation for "took" es "coger" and it happens that this means, in Mexican Spanish "to consumate the sexual act", therefore the spaniard translation may mean that Harry did "you know what" with the Phoenix. You see my point? So, it's always important to give the right idea and if that implies to localise the work to the target audience, I think they are doing the right thing. Your comment sounds like "Hey, they understand Spanish and they are used to Spanish from Spain, so why bother to adapt the work to it's own language, who cares?". Well, we do care since we have created our own language from the original Spanish and we like to understand it in our own way. 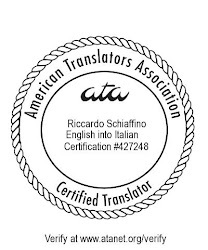 It's been a long time ago when we were a Spaniard Colony and although we still need to read the Spaniard translations the fact that the executives of Warner and Scholastic care about deliver a better translation it means they are aware of such differences. All the voices dubbed in the movies are performed by Latinamerican actors! In fact, in some cases, are performed by well-known local actors (Such as Sherk, Cars....you name it) and there are the Mexican version, Argentinian version and even Colombian or Venezuelan version. It's the same as translation! It's been a long ago since we have to watch movies performed by spaniard actors, I remember the first time I watched Star Wars and it was dubbed by Spaniards but it was like 25 years ago and I'm sure my parents had to watched Sinatra's movies that way, but not anymore. So if the executives are going to localise Harry Potter and to dubbed for each one of the largest latinamerican targets I just can say "Thank you, we appreciate your concern about the differences or our language and I hope that people who asks "why provide a Latin American version of a book when the audience is already accustomed to 'hear' it with a Spanish accent", learn that we deserve this and a lot more"